ANNOUNCING Edgewood in Frisco! 123 Acres between Lawler Park and Cypress Meadows! Baxter Brinkmann is at it again! And we are excited! 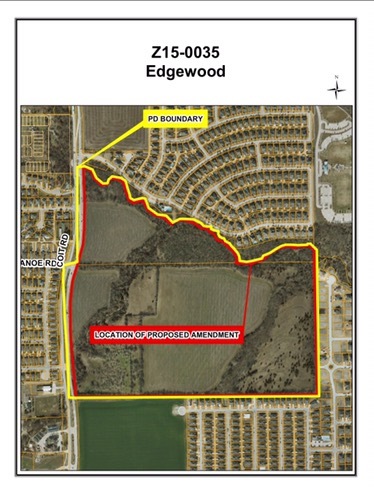 Edgewood looks like the newest community in East Frisco and it’s going to be a good one! There is 123 acres between Lawler Park and Cypress Meadows and is owned by more than just Collin County Two Trees (Baxter Brinkmann). They have submitted an application to the City of Frisco to request a modification of development standards for a Planned Development! Edgewood in Frisco will be a perfect compliment to Lawler Park and Cypress Meadows.